It's A Family Adventure! : Dates for your Diary - Bing Live! Coming to the Epstein Theatre, Liverpool in March 2019! Dates for your Diary - Bing Live! Coming to the Epstein Theatre, Liverpool in March 2019! Calling all "Bingsters"! Bing and his friends are going on tour in the first ever Bing stage show! Bing Live! will visit Liverpool's Epstein Theatre on Tuesday 19th March to Wednesday 20th March as part of a major UK tour through to April 2019, and tickets are on-sale now! The CBeebies favourites are brought to life in a brand-new stage production full of fun, laughter, music and magical puppetry. Bing Live! 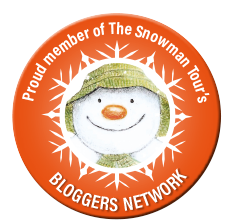 is the perfect first theatre trip for pre-schoolers and their families. Going to the theatre....it's a Bing thing! The show will also bring together a first-class creative team. Bing Live! is adapted for the stage by Helen Eastman with costumes and puppet design by Tahra Zafar. As Head of Costume, Hair and Make-Up for the Olympic and Paralympic Opening and Closing Ceremonies staged in London 2012, Tahra managed the production of 23,000 costumes for all four Ceremonies. Her film projects include: Star Wars VII The Force Awakens, X Men First-Class, Harry Potter and the Philosopher's Stone and The Fifth Element and for television: In the Night Garden, Zingzillas and The Adventures of Abney and Teal. The show will have music by Alex Silverman, sound by Rich Walsh and set design by Samuel Wyer. The cast of Bing Live are Mia Jerome, Michael Magennis, Hayley Murray, Will Palmer, Alice De Warrenne and Nia Walsh. Since its launch on CBeebies, Bing has been a huge ratings hit and is the number one pre-school show on BBC iPlayer. Celebrating the joyful, messy, reality of preschool life, Bing finds the big stories in the smallest moments that little ones and the grown-ups in their lives will recognise...whether it's dropping your ice-cream or losing your favourite toy. 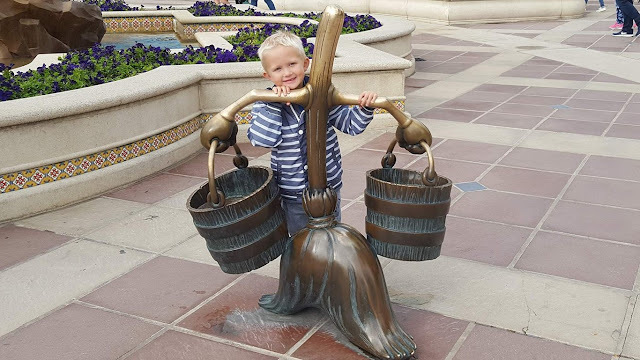 The series has won an International Emmy Award in the Kids' Pre-School category in 2016, a Writer's Guild Award and a BAFTA nomination for Best Pre-School Series. The animated series, which saw Mark Rylance make his children's television debut voicing Flop, is produced by Acamar Films. 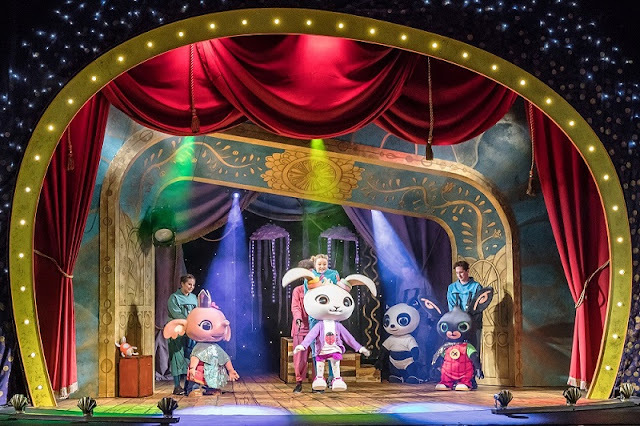 Andrew Collier, Creative Director of Minor Entertainment, said "We're thrilled to be bringing Bing to the stage - we know families throughout the UK love Bing as much as we do, and we can't wait to see children's faces light up when they meet him at the theatre for the first time." Mikael Shields, CEO of Acamar Films and producer of Bing said: "Seeing Bing take a leap from the screen to the stage is hugely exciting for all of us at Acamar. We are thrilled to be working with Minor Entertainment to bring the 'Bing Live' shows to our young audience. 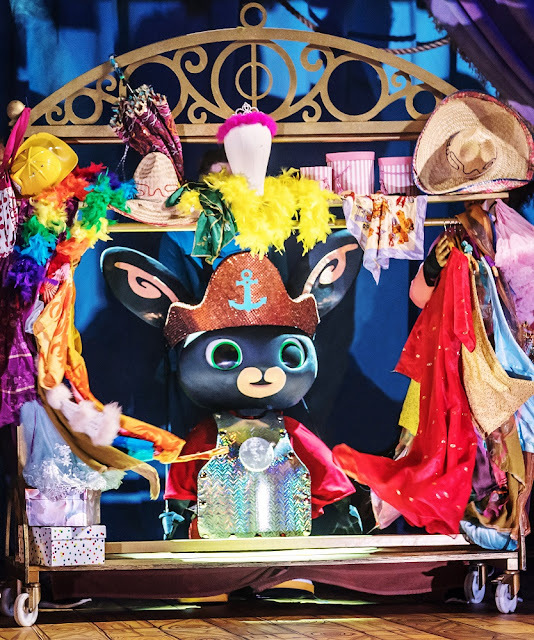 Introducing Bing fans to possibly their first experience of theatre is a tremendous creative challenge and Minor has shown imaginative flair, exceptional attention to detail, and their passion for bringing preschool characters to life has been evident throughout our collaboration with them. We can't wait to watch the reaction from Bingsters to seeing Bing and Flop on stage next year." To book tickets please call 0844 888 4411* or go online at www.epsteinliverpool.co.uk* or in person at The Esptein Theatre Box Office from 12pm - 6pm Monday to Saturday. Disclaimer: Details provided are believed to be correct at time of writing, but are subject to change. I would therefore always recommend visiting the venue's own website in order to obtain the most up to date information.